For many people, a new year means new beginnings, new goals, and new opportunities. We all start off with the best intentions and lofty resolutions, but the University of Scranton reports that only half of goals are kept past the six-month mark. For the job seeker, this fizzle adds to an already stressful situation of trying to find that perfect job or improving a current job position. Do you have a plan for 2016? Do your goals include finding another job or improving your career skills? We have a list of ways to make sure you have a great year with tips on how to start 2016 off on the right foot. 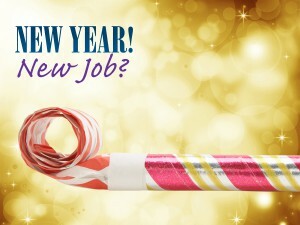 If you are looking for a new job, treat your job search like one. Seeking that perfect position is a full-time job in itself, so create an action plan and follow it. Don’t spend an hour a day working on your job search – spend several. Look at the search as a full-time position. Businesses wouldn’t succeed if they operated only a couple of hours a day, and neither can you. You should also focus on being more involved. The more people you know, the better your chances of hearing about a new position or being recommended for a job. Try to attend professional networking events, chamber of commerce gatherings, or other social outings. Don’t be shy about telling people you are on the job hunt, and remember, the majority of positions out there are never advertised, so keep your ears open when attending events. Take this down time to spruce up your resume, research new trends, proofread applications, and freshen up your personal references. Also, keep a copy of your resume with you in case you run into a potential employer. Do a self-assessment and be honest. Look at both your soft and hard skills to see if you lack training or education for your desired career path. Ask supervisors or colleagues what you can do to improve, and make a plan to put those improvements in place. Besides becoming more efficient, you’ll have the added bonus of showing initiative and ambition. Consider improving your professional presence in 2016. This year, work on your personal image and brand. Have the ability to communicate confidently, dress appropriately, and act executively. An old saying, “Dress for the job you want, not the job you have,” is a famous saying for a reason. Is this the year you should go back to school? Many universities, community colleges, and technical schools offer short courses ranging from public speaking to new technology. Even a creative writing class can help improve communication skills, so make a goal to invest in your career by boosting your skills. Online courses also help those juggling work, family, and education, so be sure to explore your back-to-school options. If you’re a full-time student, treat it like a full-time job. Like job seeking, getting an education or training should be considered your top priority. Make a goal this year to study just a few minutes longer, take another course, or improve your grades. Consider internships. While some internships are unpaid, the payoff can be additional training, connections in the industry, a nice addition to your resume, and a possible job offer. Talk to your school’s career center about available internships and be aggressive about pursuing those. Do you have your career goals for 2016 planned out? If so, share your top three goals with us in the comments section below!